On August 1st 2014 – my whole world came crashing down! EVERYTHING I had put all my efforts and focus into, everything I had sacrificed, everything I had given 100% into with no stones unturned failed! The proudest moment of my life, was over within seconds when the bar came crashing down! It was one of those moments where you think.. is that is? What has happened? How can this of happened? Everything I have pushed towards, everything I had dreamed of had disappeared. After holding my head in my hands on the mat, unsure of what had actually happened and reality settling in, I stepped off the mat and looked over at my coach Graham, whom you could see the anguish in his face for me, I couldn’t fight back the tears – I kept saying to myself “keep it strong keep it strong” but this overwhelming feeling of emotions hit me like a tonne of bricks! Everything I had been dreaming of was done, my dream never truely came true. This lead into a spiral of being inconsolable. Nothing anyone could say or do was going to help me out of this devestation. No matter how proud everyone said they were, how well I had done, it didn’t satisfy my content that I hadn’t achieved what I had set out to achieve, and how was I going to be able to do that? I found my brother and sister in law. My brother gave me what felt like a 5 minute hug and got me to come and sit into the stand with them. I dried my eyes and thought come on, just go blend in and it will be fine. Every corner with my puffy face, there was a kid approaching you asking for an autograph or a picture. Why? I hadn’t inspired anybody? I hadn’t achieved what I wanted to achieve. As we walked into the stadium, Lyndsey Sharp had just started her 800m campaign after being ill the night before. The whole stadium lifted, and was screaming for Lyndsey as she stepped out and dug deep down the home straight, I found myself on my feet willing everything for her to get that gold! This moment changed everything for me! Tears of The Journey: Realism I had done it! As I stepped off the bus back into the village, my foot had really started to hurt. As I took my trainer off to reveal a slightly deformed foot! There was nothing I wanted to do about it then, apart from sleep and hide! I went to bed, still numb, still hurting from the pain of what had happened! Was this even real? Was this dream over? I woke early on the 2nd and head to try and find my mum – one of those moments where all you need is your parent to just hold you. We hugged for 2 hours just talking over and over how my dream never came true! Did I just want it too bad? After I calmed down I headed back into the village and got my foot scanned, not a break, but a stress fracture. GREAT! Even though I was in the best shape of my life, I was not once again going to be able to finish my season. I headed back to Loughborough and was in a boot for 4 weeks. Those 4 weeks gave my time to analyse everything. Firstly my cardio and how much I could push myself on the bike, cross trainer and in the pool made me want that all the time. So I decided I was going to take 6 months off jumping to enjoy training a little more again. I hit December and the thought of even contemplating going back into jump training made me feel sick. I kept replaying that moment watching Lyndsey Sharp in my head and how she literally just had to dig deep and have guts to pull her through! I needed that! I wasnt going to go back into jumping, I am going to enjoy running and I am just going to see where it goes. This then followed a series of illnesses, including stomach ulcers, which were a result of previous eating disorder built up over the years of stress on my body. I had to pull out of my race planned in Feb and not exercise for 4 weeks. I was gutted!!!! But took those 4 weeks, refocused and rebuilt back up: Set my target 6 weeks to 10km in Derby! I am doing that! WOW the buzz I got from that day was incredible! I didn’t know what to expect but it went 3 minutes better than I originally planned. Well I will enter the great north run to raise money for my charity BEAT. This was in the June: I therefore had 3 months to push the training. Things started clicking into place – training times improving, speed work improving, distances felt so much easier! I went out on my 16 miler and when I returned I wanted to run again even though I consistently ran at 7:00 min/mile pace. I was ready to take on the GNR! I ran a 10 mile tune up race 7 days before… day later struck down with a Kidney infection: ARE YOU HAVING A LAUGH. I couldn’t breath I was in so much pain, I was gutted, I genuinely though I wont be able to run the GNR. I thought I am not making a decision until the day before. I decided to head to Newcastle and I would complete the race – not knowing what time but I would just see what happens. As I warmed up I felt incredible, I thought this is going to be amazing no matter what happens because of the crowds! The weather forecast was slightly testing conditions for a runner in terms of the heat, but it will be good. As I stood on that start line I was incredibly nervous – the crowds were incredible!! The gun went: The crowds did not move off the line as quickly as I had hoped so I was fightingmy way through the wave – slightly angry as I was more worried about my pace! Once I got through and into my stride 1 mile down we were off!!!!! The first 6 miles is always the worst for me – getting into rhythm – getting the body moving I always think wow how am I going to finish this! But once I got moving I was running faster than I ever did and it felt so comfortable – I thought I am going to go with it!! IT was SO hot! I was starting to feel like I was overheating – through mile 10 1:05 – I thought okay wow this is going to be quick!! Then my whole body starts to feel cold – I am thinking oh wow – heat stroke alert or too much water taken on! … I grab water on next station and start pouring down myself… ‘I am such a newbie’. The 11 – 12 mile was horrendous – all a gradual climb, all up hill, I just kept telling myself HOLD ON! Just HOLD ON! We got to the top of the hill and its downhill from here I just feel a sense of relief – Coming down onto the pier I didnt even say sprint I said just keep going just cross the line!! That last 800m felt like the longest 800m of my life!! I crossed the line and my knees almost buckled – what a sense of relief – I had given it EVERYTHING and I had ran 1:27… I was slightly disappointed – but it was a start. I felt more motivated than ever!!!!! I came 18th female overall – 8th in the Mass females and 18th overall including the elite – beating 2 of the elites!!!! I ran a 4km cross country in Scotland in November to see what it was all about – I am so excited about racing again in 2016!!! The Lyndseys Cross Country has really given me another boost of motivation! I just want to see where it can go… there has never been something I have done physically where every morning I genuinely wake up excited to go and do it everyday! I have officially fallen in love with running, and it is helping inspire me to live my dreams and fill that void of that day from August 1st 2014 – something I can use to push myself daily to better myself! The key message is: Whatever you do – do what makes you happy – do something that daily you think “I could do this everyday for the rest of my life” – something that motivates you to be better – helps inspire others to do the same – something that is yours – believe in you – believe in your dreams – chase them like your life depends on it. 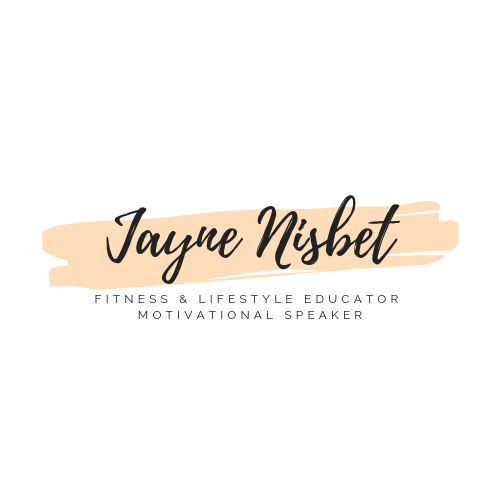 Commonwealth Games Finalist, Media Ambassador for BEAT, and Personal Trainer Jayne Nisbet has been working and helping the world achieve their goals and dreams. With over 8 years experience in the health, fitness and sport education sector with a range of experience from working with children and teens to working with adults 18 years - 70 years of age. Get in touch with Jayne to Start working towards achieving your goals and believing in your dreams. On Your Marks... Get Set... Take a Chance... Make a Change. Body Image: What’s positive about you?